A camera backpack I don’t like either. It doesn’t allow quick access and where do I leave the other stuff I need to take with me, like water, some food, a raincoat and stuff like that. So I bought a ThinkTank waist belt with two “skin pouches”. Now this is a set up I love. It allows easy access and I can still use a regular backpack for the non camera stuff I need to bring. 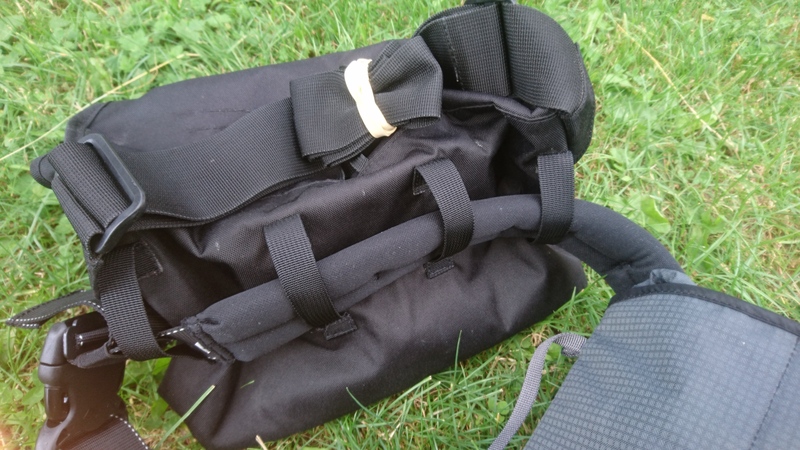 I asked a shoemaker to sew a couple of small straps to my ‘old’ Lowe Pro sling bag. I didn’t cut the shoulder strap off, so that it still can be used without the belt. Using the small straps I can attach the sling bag to the waist belt as well, proving me with ample space for my full kit. When not needed, I can rotate the pouches out of the way. 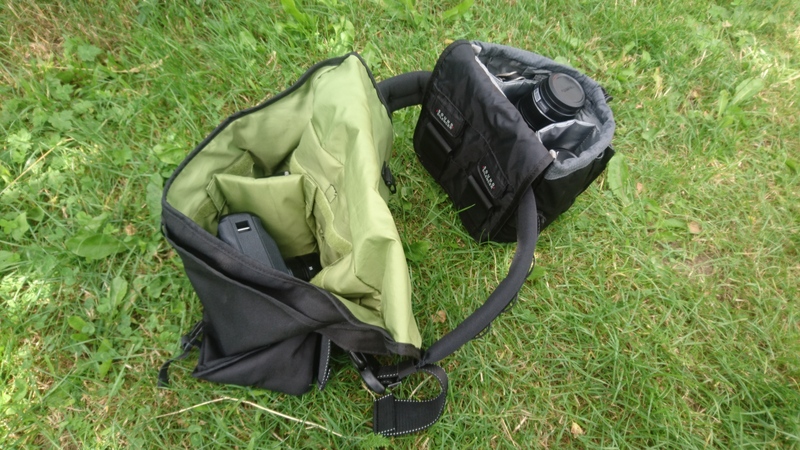 When needed, the pouches can be rotated to my front, allowing easy access! I’ve tried this setup a couple of times now, and this does feel like a good solution!